The second part of this post will deal with jackets and trousers. Now, one commentator on the first part suggested that the real progression for dressing up should be: shoes, shirts, trousers, jackets, ties, suits; in that order. Ed will already be focusing on the first two, but how one deals with the next three is really a matter of personal choice and experimentation. If we reversed trousers and jackets in that suggested order, I would describe it as a straightforward and traditional scale (these days I think a smarter jacket, say in flannel or cotton, is a much more realistic step to take before smartening up your trousers – both can look great with jeans). However, the suggestion I made to Ed regarding shoes and ties was not a traditional one. It is a personal preference, and one that is more suited to a younger audience – it is probably more fashionable as well. Having spoken to Ed, I know this is something that will suit him better. But it is only one suggestion. And tying yourself into any kind of rigid order is both depressing and suppressing – it discourages that experimentation you were keen to try in the first place. 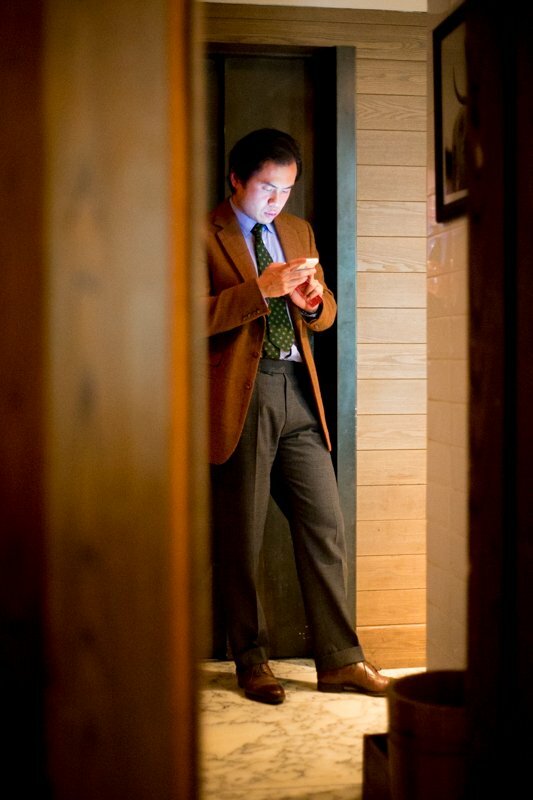 So on Monday Ed might opt for a wool tie and brown brogues, under a casual coat, with jeans. On Tuesday he may go for a smarter, odd jacket – in camel hair, say – and dispense with the tie. Perhaps pairing it with suede shoes if the weather’s nice. Wednesday could witness a flirtation with tweed trousers. 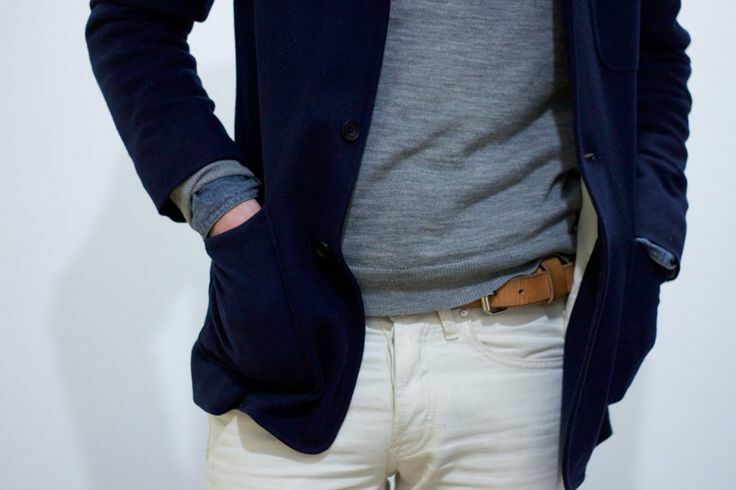 The point is to achieve the right balance of casual and formal, while varying the look. A friend remarked to me recently that surely wool ties should go with odd jackets (sports jackets to American readers). Well, yes, traditionally they should, but wear those two with corduroy trousers and red socks and you’ll look like a stereotype – a costume of a country gentleman (see previous posting When Style Becomes Costume). Tradition only takes you so far. The beauty of men’s style is taking some of these elements and mixing them up; making them your own, while always keeping in mind the reasons they went together originally. 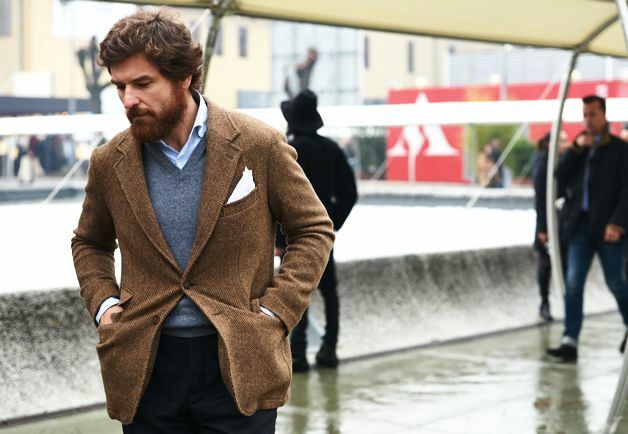 Here, every element of the country gentleman’s outfit is united by being more casual than the city suit. 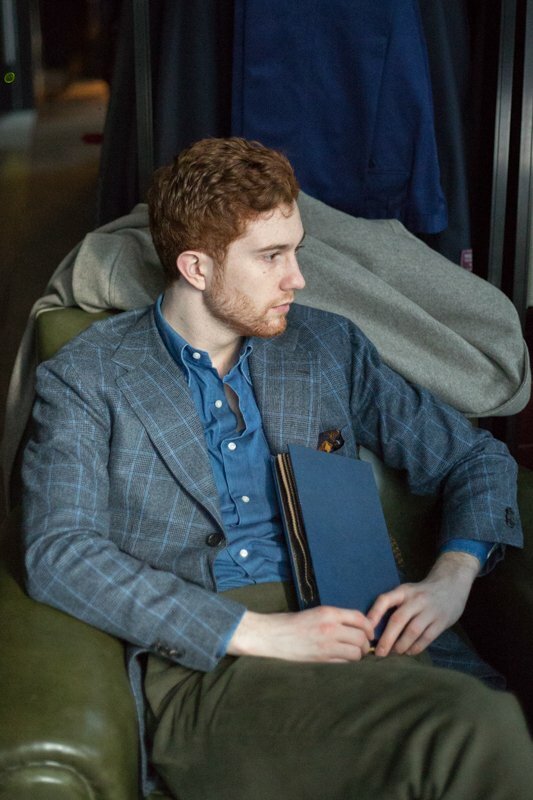 So if you want to make an outfit more casual, insert one of these items – a wool tie with a suit, for example. Keep the reasons for tradition in mind and you can’t go far wrong. This is what is meant by breaking the rules. You can follow the discussion on Reader question: Office casual, part 2 by entering your email address in the box below. You will then receive an email every time a new comment is added. These will also contain a link to a page where you can stop the alerts, and remove all of your related data from the site.